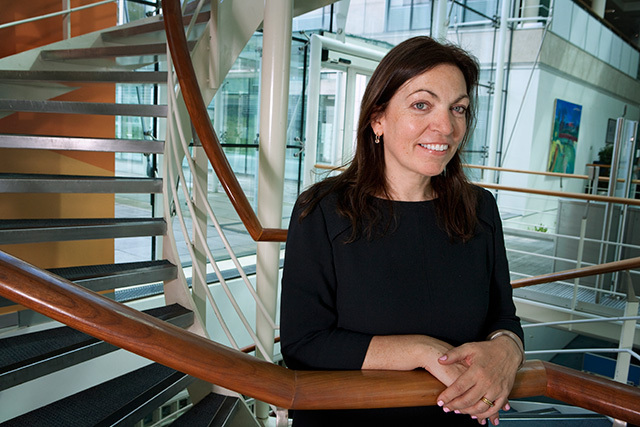 Roisin Donnelly blazed a trail for women at P&G, not just becoming the company's first female UK board director in 1993 but more importantly using her influence to help those who followed her. What she has achieved within the FMCG giant was mirrored outside due to strong networking skills: she was the first woman president of the Marketing Society and is a council member of the Advertising Standards Authority. Her choice of outside positions shows a strong interest in championing women, such as chair of trade body Cosmetic Executive Women and president of WACL. It goes without saying that Donnelly survived and thrived so long at P&G because she was a talented marketer. She delivered year after year across its massive brand portfolio, the UK arm of which she has been responsible for since 2000. She was named the Marketing Society’s Marketer of the Year in 2007 for campaigns such as Ariel’s ‘Turn to 30’ and Pampers’ tie-up with Unicef, that showed early recognition of the importance of brands’ social purpose. Donnelly went on to drive the UK adoption of P&G global initiatives such as its corporate brand campaign ‘Proud Sponsor of Mums’, especially at the London 2012 Olympics, and more recently the lauded ‘Like A Girl’ campaign for Always. But the longevity of the self-described "servant leader" has a lot to do with her view that "people are my job". Her ambition has gone beyond marketing and saw her take formal responsibility for making P&G UK a more diverse organisation and its working practices friendlier to women. These included flexible working, return-to-work support for women returning from maternity leave, the use of a service that supports working parents, and mentoring. The company also changed the way that assessments to staff were made, to guard against "presenteeism". Despite claiming that "at heart I’m a socialist", Donnelly’s plans were rooted in hard-headed business motives and she has been described in the past by colleagues as "stern and unbending" when things don’t go well. She said in 2010: 'When I joined the company, there was a kind of person who came to P&G. You could tell the difference between P&G people and other people. Today, we are extremely diverse. We need to be, because our consumers are. We don't have Proctoids anymore." She is widely respected and admired within the marketing industry, in by particular by women who have benefitted from her support, such as Maxus global chief executive Lindsay Pattison. Pattison wrote in 2014: "Roisin’s commitment to developing female talent (as a former president of both WACL and The Marketing Society, and a regular mentor at WACL as well as many other organisations) has made her an important role model to me. "The best mentors lead by example, and Roisin provides a fantastic illustration of perfecting the balance between professional ambition and personal priorities."